To improve the quality of exercise-based cardiac rehabilitation (CR) in patients with coronary heart disease (CHD) the CR guideline from the Dutch Royal Society for Physiotherapists (KNGF) has been updated. This guideline can be considered an addition to the 2011 Dutch Multidisciplinary CR guideline, as it includes several novel topics. A systematic literature search was performed to formulate conclusions on the efficacy of exercise-based interventions during all CR phases in patients with CHD. Evidence was graded (1–4) according the Dutch evidence-based guideline development (EBRO) criteria. In case of insufficient scientific evidence, recommendations were based on expert opinion. This guideline comprised a structured approach including assessment, treatment and evaluation. Recommendations for exercise-based CR were formulated covering the following topics: preoperative physiotherapy, mobilisation during the clinical phase, aerobic exercise, strength training, and relaxation therapy during the outpatient rehabilitation phase, and adoption and monitoring of a physically active lifestyle after outpatient rehabilitation. There is strong evidence for the effectiveness of exercise-based CR during all phases of CR. The implementation of this guideline in clinical practice needs further evaluation as well as the maintenance of an active lifestyle after supervised rehabilitation. Coronary heart disease (CHD) is one of the most common causes of mortality in the Netherlands, with mortality rates of 5724 in men and 4125 for women, in the year 2011 . Multidisciplinary cardiac rehabilitation (CR) reduces mortality rates by 32 % . The main goals of CR are to increase physical and psychosocial recovery after a cardiac event and to reduce the risk for recurrent cardiac events by improving lifestyle (‘cardiovascular risk management’) [3, 4, 5, 6, 7]. Exercise training constitutes an important part of CR and is usually conducted by physiotherapists (PTs). The intervention is aimed at improving exercise capacity and optimising daily physical functioning in relation to individual physical activity limitations and participation restrictions . Also, exercise programs should induce inactive patients to develop and maintain an active lifestyle, and consequently lower their future cardiovascular risk . The importance and the exact content of an adequate CR exercise protocol is not always sufficiently appreciated . Recently, it was reported that among Dutch CR centres, considerable variation exists in methods for determination of exercise intensity, training intensity and volume, and uniformity of physiotherapeutic interventions . A possible explanation for this is that both the 2011 multidisciplinary CR guideline  and the 2005 CR guideline by the Dutch Royal Society for Physiotherapists (KNGF)  lack clear practical guidance for PTs. Moreover, many international guidelines and position statements are not specifically aimed at the practical application of exercise-based CR [3, 4, 5, 6, 7, 14]. Therefore, an updated clinical practice guideline on exercise-based CR was developed by the KNGF, describing optimal physiotherapy care during all phases of CR, including assessment, treatment and evaluation. This paper sums up the main conclusion and recommendations. This guideline was systematically developed according to the Physiotherapy Guidelines Development in the Netherlands method . The guideline development group (GDG) consisted of the following disciplines: PTs representing the KNGF, movement scientists, epidemiologists, a representative of the 2011 Dutch multidisciplinary CR guideline committee and a cardiologist representing the CR section of Dutch Society of Cardiology. An external group from relevant disciplines reviewed the draft versions of the guideline. The members of the GDG and the external members did not have any conflicts of interest. 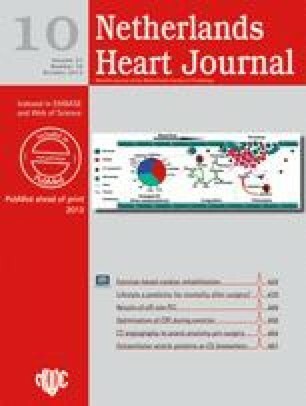 A computerised literature search was undertaken in the Cochrane library, Medline, PEDro-database, Cinahl and relevant national and international guidelines of CR [3, 4, 5, 6, 7, 12, 14, 16], using the following keywords: heart disease, acute coronary syndrome (ACS), acute myocardial infarction (AMI), unstable angina pectoris (UAP), angina pectoris (AP), acute or elective percutaneous coronary intervention (PCI), coronary artery bypass grafting (CABG), CR, preoperative and postoperative care, exercise and physiotherapy. Recommendations for the efficacy of exercise-based CR were based on systematic reviews or meta-analyses, if available completed with more recent random-clinical trials (RCT). Methodological quality of RCT’s was scored on the PEDro scale . Only studies with a PEDro score of more than 5 points out of 10 were included. The level of evidence of the conclusions based on literature has been categorised on the basis of the Dutch national agreements (EBRO/CBO). A distinction was made between four levels, based on the quality of the articles from which the evidence was obtained (Table 1). If there was insufficient evidence, recommendations were based on consensus within the GDG. Additionally, other aspects were used to determine recommendations such as: clinical relevance, safety, patient and professional perspective, availability of devices and resources, health organisations, juridical consequences, ethnical and organisational aspects, and possibilities to confirm this guideline to other monodisciplinary and multidisciplinary CR guidelines. PPT is recommended for patients at increased risk of developing postoperative pulmonary complications (PPC) after CABG (Table 2) . PPT reduces mortality, morbidity (fewer airways infections), duration of ventilation and length of hospital stay (Level 1) . If a patient is referred for exercise-based CR prior to CABG, the following information should be provided: diagnosis, comorbidities, medication, and the time span before surgery. PPT should comprise inspiratory muscle training (IMT) using an inspiratory threshold device, coughing, huffing and breathing techniques (to promote sputum evacuation and stimulate optimum ventilation). In addition, aerobic training to preserve or improve physical fitness should be considered (in consultation with the patient’s cardiologist). It is recommended to start IMT at least 2 weeks, and if possible 4 weeks before surgery, at a frequency of 7 days a week using 20 min sessions at an intensity of 30 % of maximum inspiration pressure (PI max). The resistance should be adjusted once a week on the basis of the Borg scale (0–10). If the Borg score (0–10) is < 5, the resistance should be increased by 5 %. An increased PI max (and inspiratory endurance time) to the highest possible extent – measured using a PI max meter. Relative rest is recommended during the patient’s stay on the CCU after an acute cardiac event or after their stay at the ICU following CABG (level 4). The PT checks for problems of mucus clearance and ventilation. Treatment is given if necessary (as indicated by the pulmonologist or other specialist). The perioperative pulmonary treatment by the PT involves explaining the purpose of physiotherapy, teaching the patient techniques to improve ventilation and to mobilise and cough up sputum (breathing, huffing and coughing techniques). Dynamic mobilisation exercise results in a faster recovery and a better physical health at discharge in CABG patients (level 1) [20, 21] and other CHD patients (level 4) compared with rest, and is therefore recommended during the clinical phase. The cardiologist provides the PT prior to the mobilisation phase with the following medical referral information: reason for referral, diagnosis, date of the event or treatment, medication use (type and dosage regime), complications or comorbidities, planned date of hospital admission, and any further diagnostic information deemed relevant by the cardiologist. The clinical mobilisation phase should include functional exercises, such as ADL-related exercises, walking and stair climbing, at an early stage. Exercise intensity should be decreased or exercise should be discontinued if the patient shows signs of excessive strain, such as angina, impaired pump function (shortness of breath disproportionate to exertion, abnormal fatigue disproportionate to exertion, increased peripheral/central oedema), arrhythmias (high heart rate not in proportion to exertion, irregular heartbeat, changes in known arrhythmias), abnormal increase or decrease of blood pressure, fainting, dizziness and vegetative reactions (excessive perspiring, pallor). During this phase, the PT explains the nature of the patient’s CHD and/or the surgery, the further course of the CR program, ways of coping with cardiac and other symptoms and the CHD itself, ways to recognise signs of excessive strain and the way the intensity of activities at home can be gradually increased. The patient knows how to cope with their symptoms and is able to intensify and expand their ADL activities. In some exceptional cases, patients may not have met these goals at the time of discharge from hospital, due to psychosomatic, social or severe physical problems. Such patients may be referred for clinical admission to a specialised multidisciplinary CR centre. Outpatient rehabilitation consists of an intake / assessment procedure, a treatment phase and an evaluation, which will be discussed chronologically in the following section. At the start of the outpatient rehabilitation phase, all eligible patients should be referred for an intake procedure, carried out by a member of the rehabilitation team, preferably by using the Dutch Clinical Algorithm for patient needs in CR . During this screening procedure, it is decided which interventions are indicated (Fig 1.). If a patient is referred for an exercise program, an additional assessment should be performed to evaluate the nature and severity of the patient’s health problem in relation to their physical functioning and the extent to which it can be modified. This assessment focuses on identification of impairments of bodily functions, limitations of activities, restrictions of participation and health problems that may influence the choice of exercise activities to be included in the exercise program (Fig. 2). Limitations of activities may regard their nature, duration and/or quality. The PT analyses the performance of problematic activities that were identified using the patient-specific symptoms instrument . The performance of the problematic activities can be graded in terms of duration and intensity, perceived fatigue (Borg Rating of Perceived Exertion (RPE) scale 6–20) and in terms of anxiety, chest pain and dyspnoea. When a maximum or symptom-limited exercise test has not been performed at baseline, or for (interim) evaluation of the exercise goals, the functional capacity can be determined by the Shuttle walk test (SWT) [24, 25] or the 6-minute walk test (6MWT) . The MET method and/or the Specific Activity Scale (SAS)  can be used to estimate whether any discrepancy between the actual performance level and the target level can be eliminated with a suitable exercise program, and also for (interim) evaluation of the exercise program. Based on the results of the assessment procedure, rehabilitation goals will be defined (Fig. 2). The physiotherapeutic treatment during the outpatient rehabilitation phase comprises 3 modalities: information / advice, a tailored exercise program and a relaxation program (Fig. 3). Based on the individual goals, patients’ preferences and limitations established during the assessment procedure in combination with results of the maximum or symptom-limited exercise test and safety criteria, a definite exercise program is composed. These safety criteria are shown in Table 3. If these criteria are violated or if signs of excessive strain occur during exercise, such as severe fatigue or dyspnoea, angina, unexpected increase in breathing rate (> 40 breaths per minute), pulse pressure reduction (≥ 10 mmHg), reduction of systolic blood pressure during exercise (> 10 mmHg) and increasing ventricular or supraventricular arrhythmias, the exercise session will be terminated. In the early stages of the exercise program, the PT systematically measures the patient’s blood pressure and heart rate (and rhythm) before, during and after the exercise session. This supervised period is extended if any arrhythmias, ischaemia, angina, blood pressure abnormalities or supraventricular or ventricular ectopy occur during exercising. The tailored exercise program may comprise practising skills and activities (to enable patients to utilise their general or strength endurance in motor activities), aerobic endurance training, local and strength endurance training, practising functions/activities, and/or training to reduce risk factors. In the case of comorbidities, the GDG recommends starting the exercise program based on the exercise principles relating to the most restrictive pathology or disorder. Aerobic exercise results in a reduction of general and cardiac mortality and morbidity rates, the number of non-fatal recurrent AMIs, and risk factors, as well as in a significant increase in exercise capacity, and is therefore recommended (Level 1) [9, 28, 29, 30, 31]. High-intensity interval training (HIT) may be recommended because it appears to be more effective than moderate-intensity endurance training (Level 2) . If HIT is applied, the cardiologist should be informed and safety criteria should be closely adhered to. The patient’s exercise capacity can be increased by means of aerobic endurance and interval training, preceded by warming up and followed by cooling down. The exercise principles to be applied depend on the goals of the physiotherapy and the patient’s physical condition. If the goal is to improve the patient’s exercise capacity, the training level can be gradually increased over a number of sessions from 50 to 80 % of VO2 peak/ heart rate reserve, 20–30 min per session, ≥ 2–3 times a week. HIT typically consists of four 4-minute blocks, during which the patient exercises at an intensity of 80–90 % of their VO2 peak/ heart rate reserve, with 3 min of active recovery during which they exercise at 40–50 % of their VO2 peak/ heart rate reserve. Interval training may be indicated for patients in poor physical condition not able to perform exercise of long duration; if the patient is in sufficiently good physical condition, both endurance training and interval training can be used. In both cases an initial 2 week phase of training at 40–50 % of VO2peak/ heart rate reserve is recommended. Exercise intensity should be based on the results of a maximum or symptom-limited exercise test. The optimised exercise zone can be calculated using the Karvonen formula, which calculates the exercise heart rate as a percentage of the heart rate reserve, added to the resting heart rate . If respiratory gas analysis was performed during a maximum or symptom-limited exercise testing (because of unexplained dyspnoea or comorbidity [COPD]), exercise intensity should preferably be based on a percentage of VO2 peak, VO2 reserve or the ventilatory or anaerobic threshold, converted into heart rate or wattage. If the patient is on beta-blockers, the exercises should be based on the results of the maximum or symptom-limited exercise test with beta-blocker use. If the patient’s heart rate increase during the maximum or symptom-limited exercise test is severely limited, the exercise intensity should be based on a percentage of the maximum capacity expressed in wattage or METs, and/or a Borg score (6–20). Strength training is recommended as an adjunct to aerobic exercise . Strength training increases muscle strength and strength endurance, resulting in a reduction of activity limitations and increased participation, especially among older (and fragile) patients, who experience exertion-related limitations due to lack of muscle strength and strength endurance (Level 1) . Submaximal strength training is not advised for patients who underwent surgery by sternotomy during the first 8 weeks. Symmetrical functional exercises within the pain threshold can be conducted after 6 weeks (in order to prevent a frozen shoulder) (Level 4). Muscle strength can be improved using 8–10 exercises of the large muscle groups, at a frequency of 2–3 times a week (depending on the goals) against a resistance that is gradually increased from 50 % to 70–80 % of the one-repetition maximum (1RM). Exercising should preferably start with 2 weeks at 30–40 % of 1RM. The GDG recommends estimating the maximum strength on the basis of the 4–7RM, and then approaching the training load by using the pyramid diagram (Fig. 4). Table 4 shows a broad specification of the training variables for the various priorities within the exercise program. A relaxation program (including breathing therapy) is recommended in CHD patients. A relaxation program reduces cardiac mortality and morbidity, and has a favourable effect on physical, psychological and social parameters (including resting heart rate and fear of exercise) (Level 1) , and appears to be superior in combination with an exercise program compared with only an exercise program (level 2) . CHD patients should attend 2 sessions to try out the relaxation program. If the program proves beneficial, they attend a further 4–6 sessions lasting 60–90 min each. The relaxation program integrates cognitive therapy and physical relaxation exercises. The cognitive themes addressed include understanding the value of rest, the balance between exertion and rest, the influence of psychological factors on physical functioning and differentiating between cardiac factors in relation to stress, anger, depression and pressure of time. Instructions for relaxation can be given during exercising (active relaxation) or at rest (passive relaxation), partly in the context of warming up and cooling down, and partly as a separate relaxation program. In addition to a ‘continuous’ evaluation over the entire course of the exercise program, more comprehensive interim evaluations should be carried out at least every 4 weeks, as well as at the end of the CR program. If patients only partially attained their goals, but are likely not to continue the rehabilitation activities independently (at home), the CR program is prolonged or the patient is referred to a primary care physiotherapy practice. If patients did not attain their goals and it seems likely that they have attained their maximum achievable level, they should be referred back to the multidisciplinary CR team to explore other treatment options. Table 5 shows the intended outcome for each physiotherapeutic goal, instruments recommended for interim and final evaluation and the final targets that should be pursued. The PT also evaluates whether the patient has acquired sufficient knowledge about secondary prevention, and evaluates the goals of the relaxation program. The PT should report to the multidisciplinary CR team about the treatment process, the treatment outcomes and the recommendations (aftercare). This should happen at least at the end of the treatment, but possibly also during the treatment period. In addition, the PT informs the patient’s cardiologist, family physician and, if applicable, their rehabilitation physician or company doctor. The CR is then either continued or concluded, after consultation with the multidisciplinary team. Patients are advised to continue exercise to reduce the cardiac risk profile after the CR (Level 1) [37, 38]. A follow-up is recommended to encourage inactive patients to become physically active again (Level 3) . Patients may be referred to exercise programs offered by certified exercise facilities, but may also individually make use of regular sports facilities. Patients with CHD who are unable to maintain an active lifestyle without assistance, or have not yet attained all the physical goals during the outpatient phase, but are deemed to be capable of doing so, should participate in an exercise program which is designed in accordance with the KNGF guideline for exercise interventions in CHD , or an equivalent KNGF-accredited intervention, supervised by a primary care PT who has completed additional training. Monitoring is important in order to identify any relapses at an early stage and intervene. The GDG recommends monitoring the patient’s active lifestyle (preferably after 6 and 12 months), by activity monitoring devices and or telephone or using a web-based or printed questionnaire. This guideline provides an evidence-based instrument to assist in practical and clinical decision-making during exercise-based CR in all phases of CR. Strong evidence is found for preoperative physiotherapy, mobilisation at an early stage in the clinical phase, aerobic exercise, strength training and relaxation therapy during the outpatient rehabilitation phase, and the adoption and monitoring of a physically active lifestyle after outpatient rehabilitation. As compared with the 2005 CR KNGF guideline  and the 2011 multidisciplinary CR guideline , several novel topics have been included in the present guideline. First, recommendations were made with respect to the preoperative phase for patients undergoing CABG. Second, this guideline provides clear practical guidance on how to tailor exercise with respect to intensity and duration individually, using results of a maximum or symptom-limited exercise test. In this way we aim to reduce the considerable practice variation which has recently been reported in Dutch CR centres , and thereby, to increase effectivity of exercise-based CR in the Netherlands . A third novel topic is the addition of HIT as a training strategy in CHD patients. Finally, this guideline focuses more on the adoption and monitoring of a physically active lifestyle after the outpatient rehabilitation phase. The implementation of this guideline in clinical practice needs further evaluation . Compliance to the guideline needs to be stimulated by, for example, adopting it into the Dutch clinical algorithm . Also research is needed on strategies to improve monitoring and follow-up of the maintenance of a physical active lifestyle after supervised CR; for example by implementing activity monitoring devices combined with telemonitoring, or by web-based coaching platforms to guide patients . Finally, more research is needed into characteristics and modalities of physical activity and exercise training in cardiovascular risk management in the long term . We gratefully acknowledge the contribution of the other members of the GDG: Audrey Merry, Rob Klaver, Sandra Schoonewille, Sandra Verhagen, Harold Leeneman, Judith Verbeek, Shanne Bloemen and Angelique de Rijk, and external reference group: Rob Bertram, Jan van Dixhoorn, Marleen Buruma and Erik Hulzebos. The authors would also like to thank Jaap Donkers for his assistance in drafting the description of the preoperative phase. In addition, the GDG would like to thank the authors involved in developing the previous edition of this Guideline: Lisette Vogels, Jean Graus, Rob van Hulst, Frank Nusman, Roelof Peters and Bart Smit. The inclusion of the above persons as consultants does not imply that each of them agrees with every detail of the Guideline.